We are the UK’s leading spray booth and paint finishing manufacturer. For over 27 years we have been combining state of the art designs with the most advanced technology on the market to offer spray booth and paint finishing solutions that work for your business. 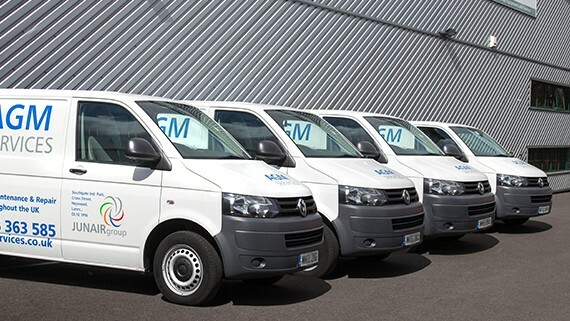 We don’t just manufacture energy efficient, high quality equipment, we provide the full project management solution. Our core business value is to place our customers at the forefront of all decisions, manufacturing energy efficient, high quality products that exceed their expectations. This business value together with award winning innovative designs and our engineering excellence allows us to provide solutions to a range of organisations from a single spraybooth to a complete new paint finishing system within the automotive, commercial, industrial and aerospace industries. With Junair Spraybooths you can always expect a friendly consultative approach. We take the time to understand the challenges you face and work with you to develop and tailor a solution that maximises your investment by providing energy-savings, higher productivity and enhanced performance. We have in-house skilled staff in all disciplines allowing us to offer a fully comprehensive service encompassing full project management from start to finish including all types of builders work completed to an extremely high standard. 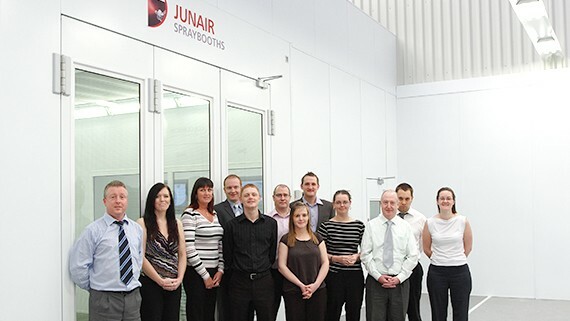 If you would like to discuss any of Junair Spraybooth’s service packages, call us today. 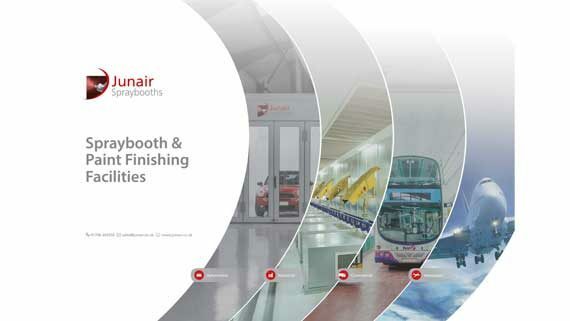 Click on the brochure image below to download the corporate brochure for our Spraybooth and Paint Finishing Facilities. If you would like to receive more information on Junair Spraybooths products and services or request a FREE site survey and quotation please contact us.